A gang of scammers in Istanbul have tricked up to 1,000 people by selling them fake Montenegro passports, each of which they charged over 7,000 euros in an elaborate scheme involving a fake consulate building, reports said Friday. Akkan Suver, who has been Montenegro's honorary consul general to Istanbul since 2008, said there was not much to do as "they (people who were swindled) have nothing in their hands to submit to the court. They went with their own will, and they willingly gave their money." Suver said that the scammers had opened a consulting agency near the official consulate general building in Beşiktaş on the European side of Istanbul, and had employed dozens of people. He also said the scammers has many other places had been established under different names, including some tourism agencies, claiming to provide consultancy services for visa and citizenship procedures. "They were asking people to pay between 7,000 and 12,000 euros for this so-called Montenegrin citizenship," Suver said. Suver underlined that there were no visa issues or requirements between Montenegro and Turkey for up to 90 days of stay. "Those who want to go to Montenegro need no intermediaries. Montenegro citizenship is also not something that is granted." However, he pointed out that an 'economic citizenship program'' for Montenegro was introduced this year, but only some independent auditors appointed by the government had the authority to decide whether the applicants will be granted a citizenship or not. 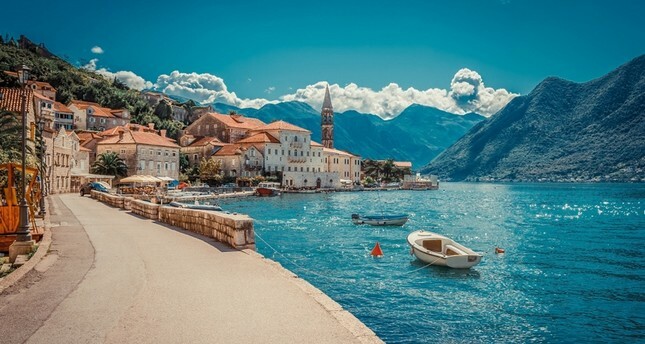 As part of the program, the Montenegrin government will grant citizenship to 2,000 foreign investors who will invest in development projects throughout the country. The program which took effect as of New Year, will run for three years. Montenegro previously announced the conditions required to obtain a citizenship as part of the program. The government said investors must not have any criminal convictions and make a certain amount of direct investments depending on the cities they choose. The government currently offers three investment packages: 450,000 euros in investments for in and around capital Podgorica and coastal cities, 250,000 euros for the country's northern and central regions and 100,000 euros for less developed areas.